If you are an angler, you must be careful about bringing the right fishing tools such as a rod, reel, or fishing lure each time you go out. In case you forget one of the essential fishing tools, you might even not be able to catch any fish for that. You might not also want to over-pack and be exhausted even before starting to angle. So, bringing all the essential fishing tools to the fishing is mandatory for you. 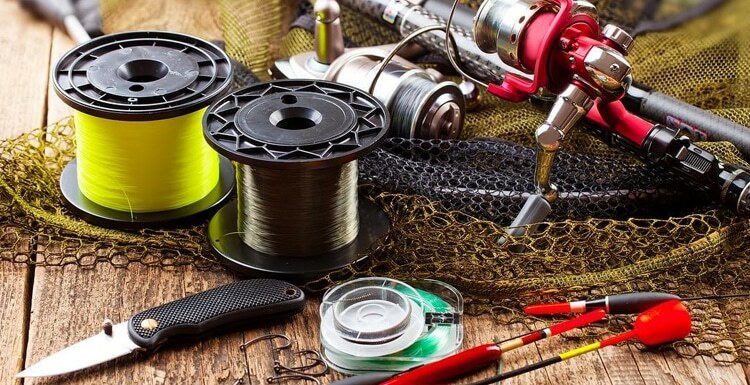 Let’s explore and analyze the ten most essential fishing tools you need to pack for outdoor fishing. Spincasting or baitcasting reels are the easiest options for the beginners to cast and handle fish up to 20 pounds. The best fishing reels will allow you to cast bigger fishes easily. You can also use a tyepro fishing tool thread the small eyelets, to clip the line, and tie the knots. Longer rods allow you to reach longer and play the fishes better. The 5-foot-6-inch and 6-foot-6-inch rods are the great all-around size for teenagers and smaller guys. The longer rods are more useful for the adults. A monofilament line is a good option due to its durability and ease of use. Have a test of the line according to the fish you are aiming to catch. For catching bigger fish, you will need a thicker fishing line. Don’t forget to keep some extra fishing line while you pack for outdoor fishing. When you are using a live-bait, smaller hooks are easier to use. You should use different sizes of hooks to different kinds and sizes of fish. Circle hooks are your best options if you want to remove the hook and tackle the fish with ease. Always keep some different sizes of extra hooks with you while you are fishing. Floaters are one of the must-have pieces of your fishing tools because you won’t be able to fish smoothly without them. A floater tells you when the fish is biting the bait and when it got caught up in the hook. The white plastic floaters and the round red floaters are the most popular ones among the fishermen. Plastic worms are good alternatives for the live-baits. They are essential because you might not always have the live-baits with you. You will find plastic worms with plenty of models and sizes. However, choose the plastic worms that have long tails because they are easier to use. A fish finder is an essential fishing tool when you want to catch more fish. Fish finders help you to know the exact location, depth, and size of the fish. They also portray to you the scenario and basic geography of the underwater surface. A portable fish finder is available everywhere. However, you may skip it if you want to catch fish without knowing anything and a few fishes are enough for you. A waterproof bag is a must-have tool for keeping your fishing tools dry and organized. You should choose a fishing bag that is constructed waterproof material. Choose the bag that comes with taped seams and quality zippers. It will be easier for you to organize things if your fishing box has a hard bottom. The de-hookers are the most necessary tool for you if you want to catch fish quickly. This tool will help you release a fish safely and cleanly without even bringing the fish in the boat. It will save a lot of your time, but most importantly it will help you to promote healthy catch and release habits for the fish you don’t want to catch and bring home. You must keep a small first aid kit with you while fishing. Choose a kit box that fits in your fishing bag. It will be better for you to have a waterproof kit box because you might need it in the water. The first aid kit can save you from a lot of pain or trouble. A pair of pliers is another basic fishing tool that you should always carry in your fishing bag. Aluminum pliers are generally better than steel pliers because they do not rust. Most of the pliers usually come with a built-in carbide steel cutter. These pliers will help you to cut the line, bend the hooks, and fix the boat while you are fishing. So, these are the top 10 fishing tools that are essential for you to carry with you for outside fishing. Most of these things are not optional; you cannot skip any of the fishing mentioned above tools if you want your fishing experience to be a good one.